Air baths offer a unique massage experience that uses jets of air rather than water jet massage that is traditionally associated with hydrotherapy. Air baths are also easier to clean and allow you to add additional products to the water to enhance the experience. 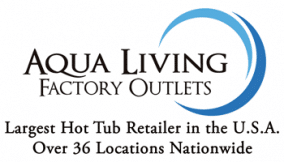 Shop a large assortment of Air Baths for sale from Aqua Living Factory Outlets below. Find a variety of high-quality Air Baths that are equipped with high-end features including: 1 HP heated blowers, color matching jets, heat sticks, sanitary full-draining V jets, anti-fungicide tubing to help prevent bacteria from forming in plumbing, solid zero flex flooring, extra thick Lucite Brand Acrylics, a 10-year warranty on surface fading and cracking, a 5-year warranty on jet internals and components, a 3-year warranty on pumps and blower parts, and a 1-year warranty on electronics and labor costs. Optional upgrades for Air Baths include the Tranquility Package which features: aroma-therapy scent controls, multicolor LED perimeter lighting, and long-lasting stainless steel air injectors. Other optional upgrades include: biscuit, bone, black, red, and sterling Acrylic coloring, a slimline drain with overflow, and a faucet upgrade to a modern or classic stainless steel faucet kit. All Air Baths for sale from Aqua Living Factory Outlets are 47-78 inches in length and are available for delivery or pickup from any one of our 36 various locations throughout the United States. Explore financing options for Air Bath purchases available with payment options up to 54 months in length.